Godwit Days are here again. 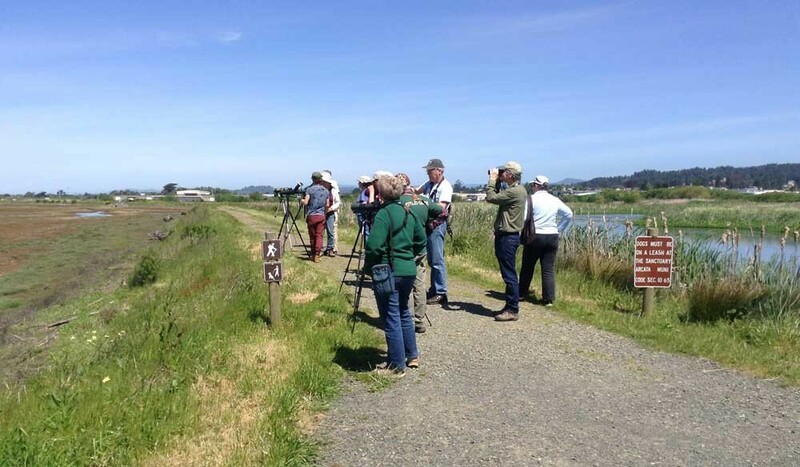 The Godwit Days Spring Migration Bird Festival, a week-long festival celebrating Humboldt's favorite shore bird, the marbled Godwit, as well as the abundant and diverse wildlife that cohabitates with it, kicks off April 18 with dozens of bird walks, field trips, lectures, workshops and activities in and around the county through April 24. The festival brings a few celebrities from the birding world each year. This year Sharon "Birdchick" Stiteler, author of 1,001 Secrets Every Birder Should Know, and Jack Dumbacher, curator of birds and mammals at the California Academy of Sciences in San Francisco, join the festivities. While many of the events require registration and take place out in the trenches, mudflats and waterways, there are two days of activities at Arcata Community Center's Main Hall, free and open to the public. On Friday, April 20 stop by for the festival's opening reception from 3 to 8 p.m., which includes the Bird of the Year awards, recognition for Mad River Alliance and keynote speaker Jack Dumbacher. On Saturday and Sunday, April 20-21, the Main Hall opens at 10 a.m. See live birds of prey from the Humboldt Wildlife Care Center from 11 a.m.-2 p.m., peruse vendor booths, check out the art show/gallery by Arcata Artisans and the Student Bird Art & Nature Writing Contest entries on display. There's also a silent auction, family nature crafts and food available from the Godwit Café. For more information and to register for events, visit www.godwitdays.org or call 826-7050.